Great capture of the Space Needle Anita! 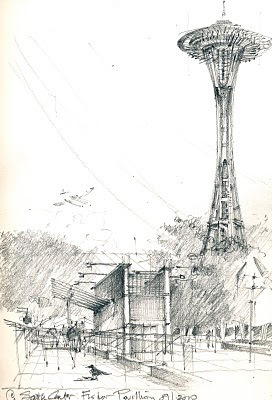 One of the best sketches of the Needle I've come across, she's a not easy to capture. Enjoy all your work. Powerful imagery! Very dynamic and expressive! Powerful imagery! Very dynamic and expressive composition! Very expressive and dynamic composition and very sensitve at the same time!